After January 12, 2016, Microsoft will only release important updates for the most current version of Internet Explorer available on a supported operating system. For users of Windows Vista, you must be running Internet Explorer 9 to continue receiving updates, for Windows 7 and 8 you must be running Internet Explorer 11. Internet Explorer 11 is installed with Windows 8.1 by default. 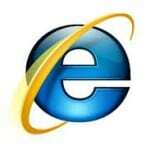 Support for Internet Explorer 8 will drop off entirely. Currently over 20 percent of computers running a desktop OS are still using this old version according to data from netmarketshare.com. As security holes are continually being discovered and patched in Internet Explorer via Windows Update, it is highly recommended that you are running a supported version to stay as up to date and secure as possible going forward. For more details, check out the following article from ZDNet.com.